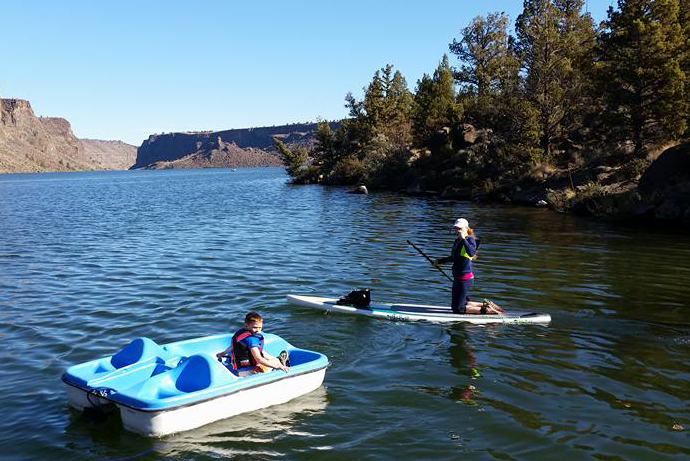 Paddle Boarding Lake Billy Chinook in the Cove Palisades State Park. Paddle Boarding Lake Billy Chinook is amazing. Lake Billy Chinook is an expansive body of water hidden within deep canyons carved out of the earth by the 3 rivers that feed the lake. The Deschutes River, Crooked River, and The Metolius River make up the 3 tributaries feeding the lake, with the man made Round Butte Dam creating Lake Billy Chinook itself. The surface area adds up to over 4,000 acres and 72 MILES of shoreline! The 3 rivers feeding the lake along with the large surface area of the lake itself combined with it’s unique “fingers” shape makes for days of paddling exploration. The average depth of the lake is just over 100 feet, surrounded by sheer cliff faces ranging from 200 feet all the way up to 700 feet above the water elevation. The lake is shared by paddle boarders, skiers & fisherman, and is very popular during the prime Summer months. We scheduled our trip for September and missed the crowds but still enjoyed 80 degree sunny days. Bull Trout weighing upwards of 20 lbs and massive amounts of Kokanee makes this lake a fisherman’s dream. I caught several Kokanee by slowly paddling (trolling) with my board. 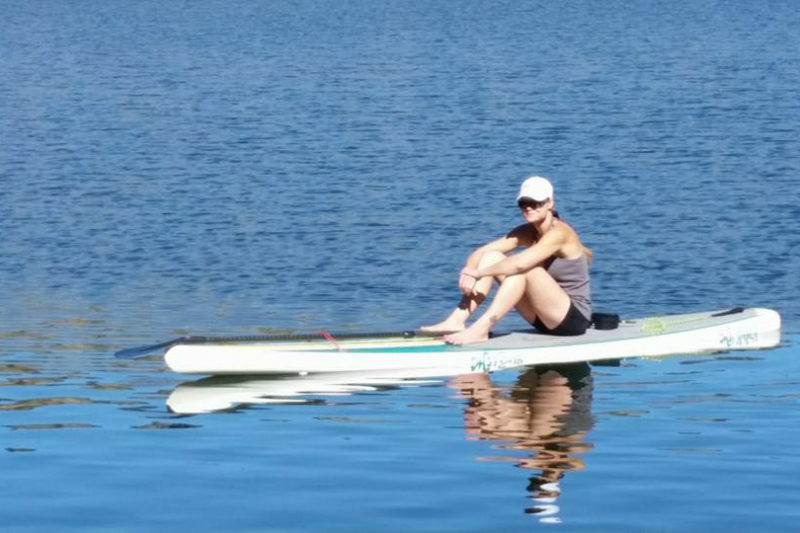 Balancing on a paddle board while reeling in a fish is a unique challenge in itself! I’m not a huge fisherman these days, but with Kokanee jumping everywhere you looked across the lake, I couldn’t resist myself. Plus the kids thought it was awesome to actually catch fish for once. As far as actually paddle boarding Lake Billy Chinook, it was simply amazing!! We rented a house boat and spent 4 days on the lake with our paddle boards in tow. The lake was a sheet of beautiful glass every morning, making for excellent morning paddles. Once the sun came out, so did the boaters which left the main areas of the lake a bit choppy. With so many inlets and canyons to explore, we never had a problem finding calm waters to paddle during the day. For the purpose of this SUP Destination, we are assuming you’re on a house boat which of course made “launching” a non-issue as the boards are already in the water being towed behind us. There are however several boat launches accessing the lake, but we have not personally used any of them. 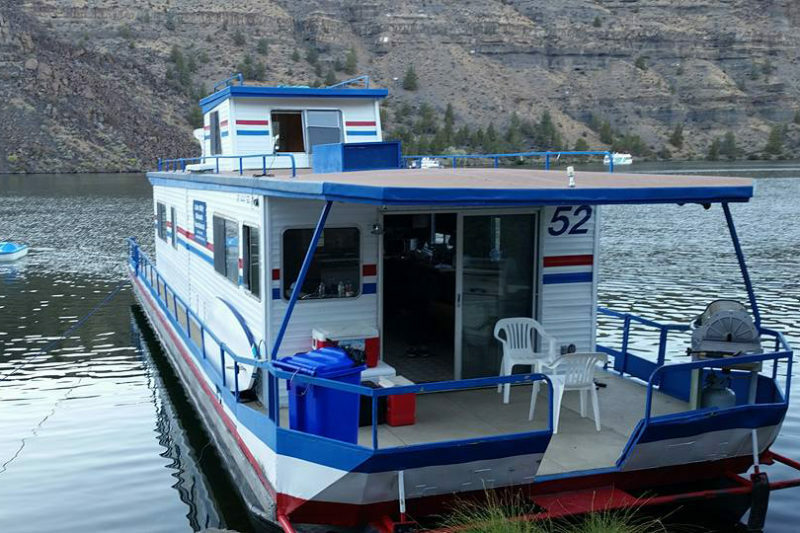 Lake Billy Chinook is the perfect family paddle trip reminisce of Lake Shasta but minus the crazy costs. 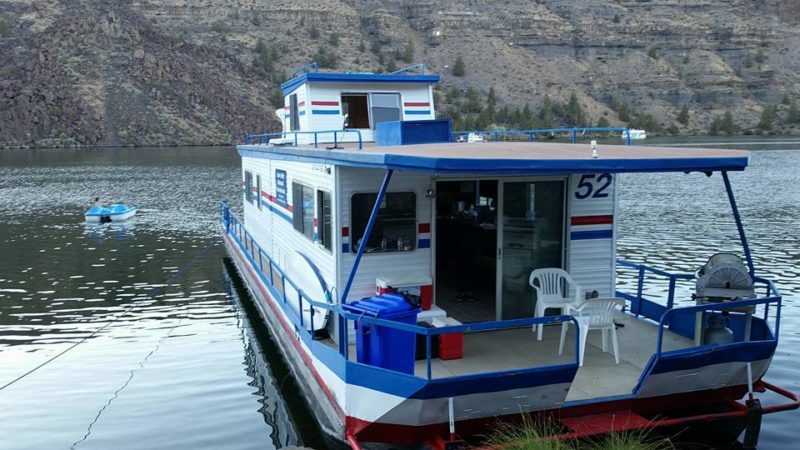 Our Houseboat was basically a 70’s floating single wide mobile home, but was in great condition and very clean. The kids thought waking up on the water every day was the coolest thing ever! For those looking for a challenge, try paddling up the Deschutes River tributary as far as you can make it! Heads up, there is NO cell phone service on the lake that we could find.